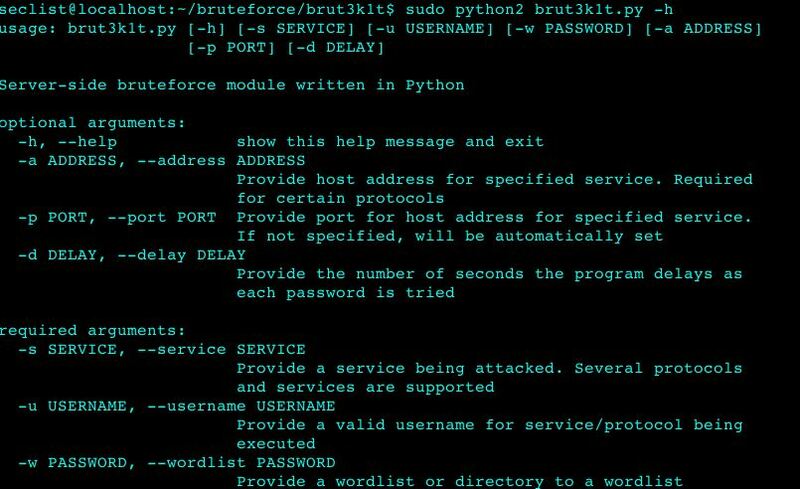 Browse: Home / brut3k1t – Server side brute force module. * If you do not supply the delay -d flag, the default delay in seconds will be 1. * Remember, use the SMTP server address and XMPP server address for the address -a flag, when cracking SMTP and XMPP, respectively. * Facebook requires the username ID. This is a little bit of a setback since some people do not display their ID publicly on their profile. 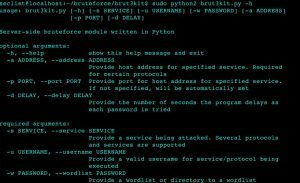 * Make sure the wordlist and its directory is specified. If it is in /usr/local/wordlists/wordlist.txt specify that for the wordlist -w flag. * Remember that some protocols are not based on their default port. A FTP server will not necessarily always be on port 21. Please keep that in mind. 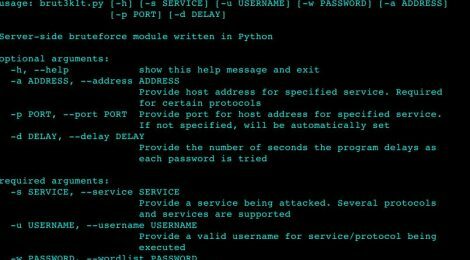 * Use this for educational and ethical hacking purposes, as well as the sake of learning code and security-oriented practices. No script kiddies! Cracking Facebook is quite a challenge, since you will require the target user ID, not the username. ← vlany is a LD_PRELOAD rootkit for x86_64, i686 and ARM architectures.